The Bald Hill lithium mine. Alliance Mineral Assets has posted record monthly production at the Bald Hill lithium and tantalum mine in Western Australia. 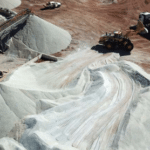 The Eastern Goldfields-based mine produced a monthly record of 13,160 tonnes of lithium concentrate at an average grade of 6.15 per cent for January 2019. This was 28 per cent higher than the previous month. Throughput for January was also improved by 23 per cent compared with the previous month, with ore processed at an average throughput of 237 tonnes per hour. 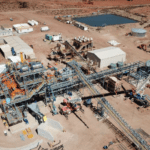 Alliance became the sole owner and producer at the project last December after completing its incorporation of former joint venture partner Tawana Resources. The Bald Hill project has a mineral resources of 26.5 million tonnes at 0.96 per cent lithium and 149 parts per million of tantalum at a 0.5 per cent cut off, which translates to around 225,200 tonnes of lithium and 8.6 million pounds of tantalum. Alliance managing director Mark Calderwood said the company’s concentrate shipping over the last week was also a record. The company shipped 23,232 (wet) tonnes of lithium concentrate on February 2–3 at an estimated value of $26 million. 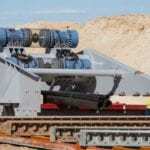 The company also plans to ship 20 tonnes of tantalum tomorrow. 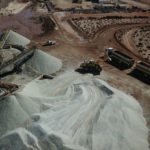 “A number of requests for lithium concentrate are currently being reviewed and we expect to ship, or have ready for shipment an additional 30,000 tonnes of premium quality lithium concentrate during the quarter,” Calderwood said.